As a business owner, your time is precious. Every day, your attention is divided between the various tasks of running a business. You don’t always have time to get to the bank to deposit business checks. With Remote Deposit Capture from Greenville Federal, you can take back your day AND deposit business checks anytime you need to. Remote Deposit Capture eliminates the manual transportation of checks, reducing the chance that they could be lost or stolen. By submitting checks electronically, deposit availability is automatically on the next business day. Or ask about our option for same-day deposit availability! It is also completely browser-based and aside from the check scanner drivers, there is no need to maintain software updates or reinstallation. Intuitive navigation eliminates the learning curves of other programs, creating a user-friendly interface that is easy to learn. Plus it offers several tools to make check finalization streamlined and simple. 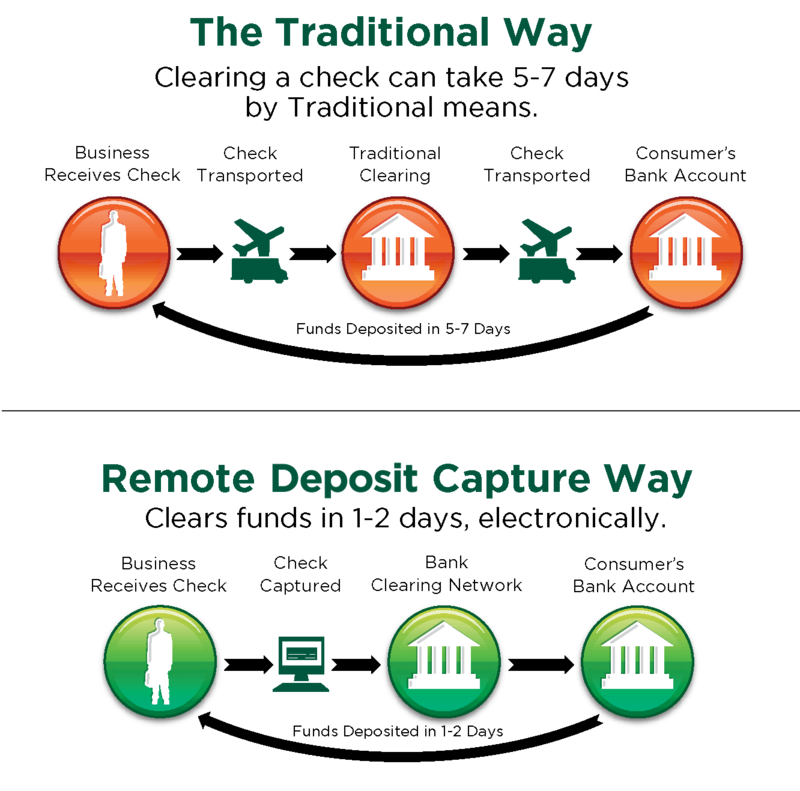 Remote Deposit Capture can also be used at multiple locations. It also creates a convenient payment file that can be imported into many accounts receivable packages. The image of each check will be stored online for two years and can be viewed via our secure Internet gateway at any time along with reports which are produced daily and available online 24 hours a day, 7 days a week. Detailed email notifications are sent within minutes after check batches have been submitted for deposit. With Remote Deposit Capture, scanned check images are automatically uploaded, queued up for review and finalization, and then electronically credited to your corporate deposit account. Not only will RDC offer your business several functionality and security enhancements, but also improved cash flow and lower costs! Returned NSF or stop payment checks are received in half the time as paper checks. Remote Deposit Capture includes a number of security and risk management controls. All sensitive check and batch information is stored on our secure servers, instead of the user’s personal computer. Financial institutions are able to establish multiple dollar amount risk limits for each individual business client. Transactions that exceed a pre-determined risk limit are not able to be submitted for processing, unless the business obtains a temporary authorization from your institution. In addition, dual- control procedures offer the opportunity for checks and balances on every batch of check deposits. Check images and reports are viewable online for two years. All check images are retained by Magic-Wrighter for seven years. Upon request, additional check images can be loaded if needed. Please stop in, we would be glad to answer all of your questions!